This particular form mainly deals with the job and payment details of the employees at North-eastern University. This particular form contains the details of every worker in the university. The various vital information that the form contains are the identity of an employee, job description, basic payment information, details of leave if taken and there are some other official information prescribed. The HR person in the organization with the assistance of this form maintains the account of every employee. 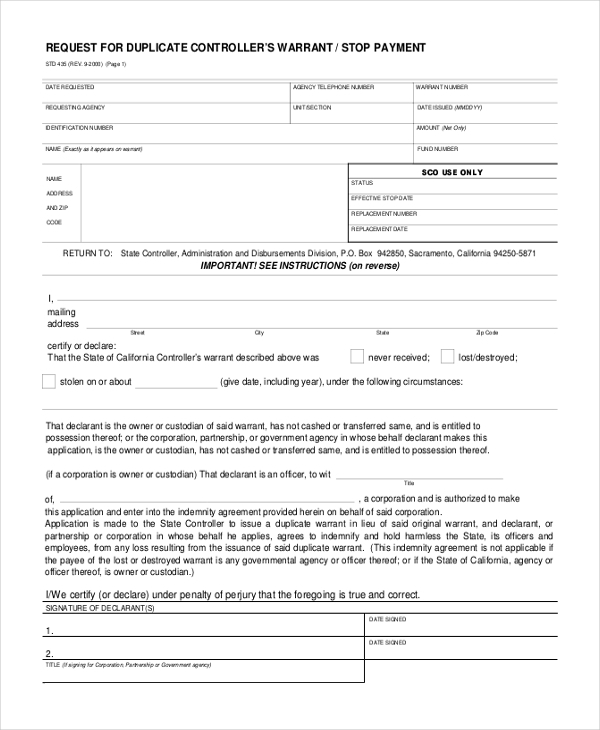 This particular form is mainly used in the State of California. 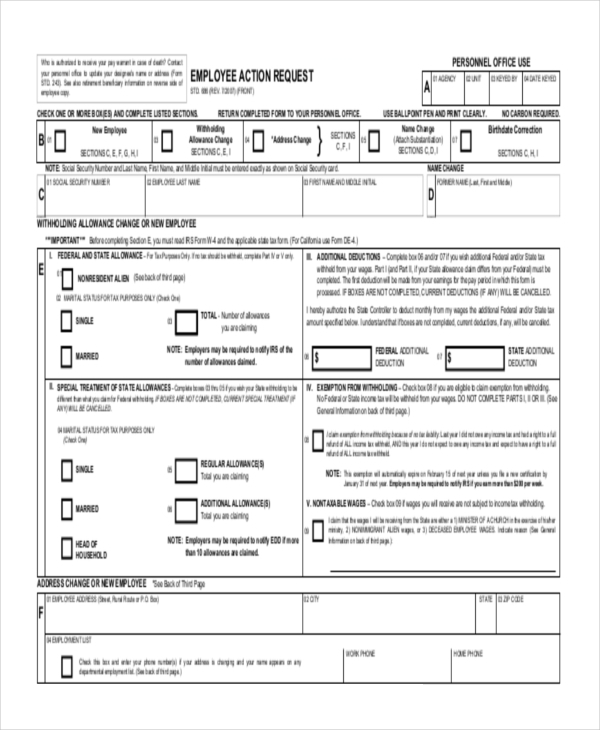 The form serves as duplicate warrant document if the original one gets lost or damaged. This form is issued from the office of the State Controller. It may often happen that the original document of the stop payment is lost. In such cases this duplicate warrant is used by an individual or an organization for the purpose of stop payment from a particular source. This particular form is used to maintain the details of a person volunteering in an organization. There are many people who work as volunteers at various organizations. This form contains all the details of the volunteers. 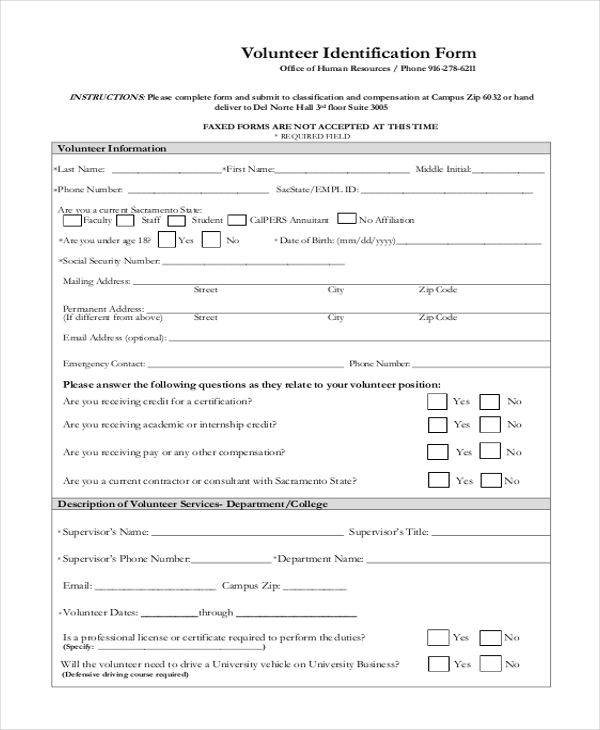 Some of the details that the form contains are the basic information about the volunteer which includes name, address, social security number etc. Along with this, the volunteers’ duties and responsibilities are also mentioned in this form. The HR profile payroll form is a form which contains every detail of an employee working in an organization. This form is used as a record in the Hr office for various purposes. The Hr department of an organization with this form maintains the entire payment processing of an employee. Starting from the salary, till the various taxes that are charged, everything is maintained by this particular form. The employee Action Request document is a State California form which is used in lieu of the Internal Revenue service. This is also used to document an employee’s birth date and prior State or public agency employment. This particular form is needed by the following people. New and returning employees, noncitizen employees, separated employees, deceased employees, additional withholding tax etc. Many organizations have the system of giving advance to an employee, if needed for an emergency. The HR department of the organization controls this matter. This particular form is needed during the advance payment of the salary. The form contains some information about the employee and along with that the reasons behind taking an advance salary. After the form gets approved by an authority in the Hr department the salary is issued in an advance basis. What is an Hr payroll form? An Hr payroll form is a type of a form which is maintained by the HR department of an organization to maintain the financial records of an employee. As said earlier that a payroll contains the various financial elements of an employee working under an organizations. The Hr with the assistance of this particular form maintains the entire financial account of an employee. The form contains details of salary or wages, bonus, taxes and other payment information. Through this particular form it also helps the HR department to maintain a record of the accounts for the future purpose. Some of the important details that the form contains are basic information of the employee, information on the salary/ wages and bonus, leaves taken, purpose of the leave, hours of work etc. In short, it can be said that this form is a complete financial document of an employee. It helps in better allocation of financial resources for the employees. The Hr department with the assistance of this particular form maintains all the financial accounts of an employee There occurs no such chaos regarding salary/ wages or bonus. This form helps in maintaining every financial activity in a smooth way. Both the employee and the HR follow this particular form for various financial purposes. Not only does it serve financial information but this form has various diversified categories like Volunteer Identification form which maintains the work process of the various volunteers in an organization. 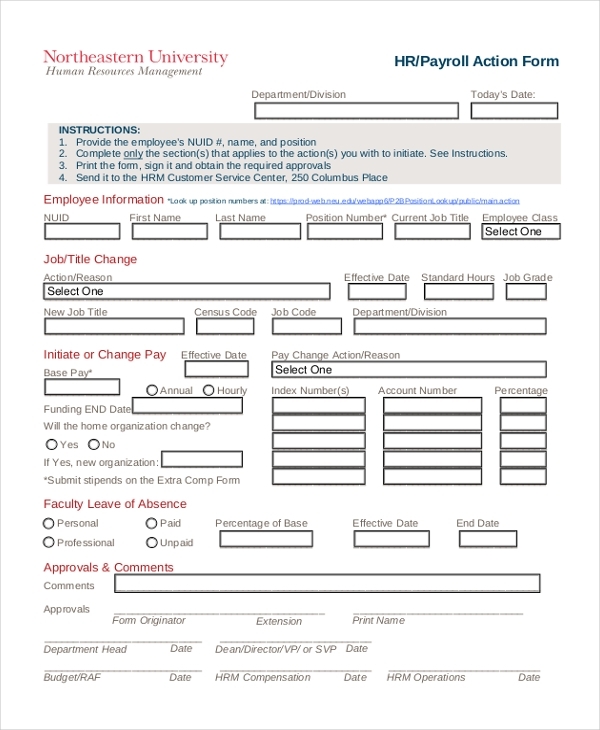 This form is a great asset for any organization as it maintains every employee records in the company in a proper and smooth way. The target audience of this particular form is huge and diversified. This form mostly targets the employees in an organization. Every financial details of an organization are maintained through his form. The Hr in a company keeps track of the various financial documents of their employees through this particular form. Starting from the basic information of an employee to the bonus received, everything is duly mentioned in the form. In short, the actually target group of this form is all the employees working under a direct payroll in an organization. The company truly believes that the forms which are available in the website will actually solve the purpose of each and every person. It is highly recommended to place your views on our working. All the views and ideas will be highly appreciated. This particular form has the highest demand in the recent times as most of the companies are considering this form to be the only official document to maintain the payroll structure in an organization. An Hr payroll form is a vital document which solely helps an organization or specially the HR of the organization to maintain the financial account of an employee. Every organization maintains this particular form in order to track the various financial elements of an employee. The salary/ wages, bonus, taxes and leaves taken for any purpose are mentioned in a proper way in this particular form. An employee under the payroll in an organization also follows this particular form for the various financial objectives. 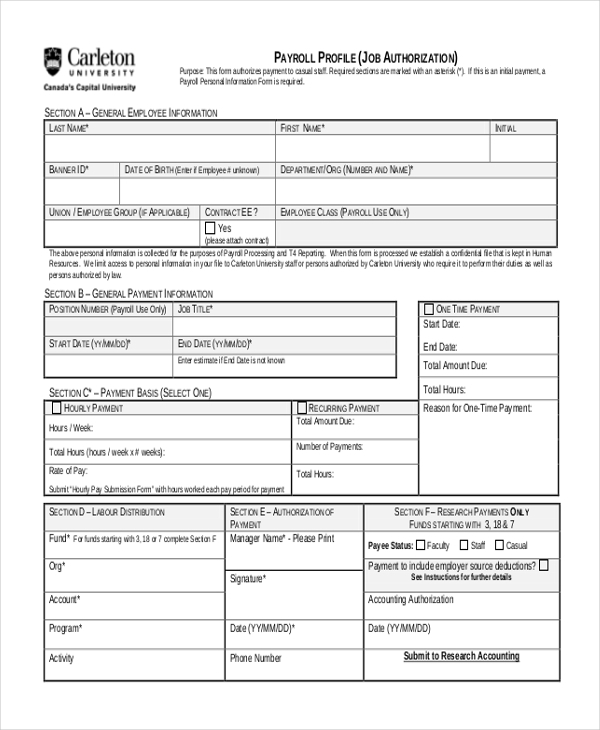 Along with the payroll, this form has some other categories like Volunteer identification form, HR profile payroll form, Employee action request, and salary advance form. In a conclusion, it can be said that this form is used for every purposes in an organization.